Learn Genetics: What Is a Gene? One of the most important concepts in genetics is the concept of a “gene.” What is a gene, and why are genes important? Likewise, why is the term “gene” difficult to precisely define? Let’s have a look about the history of our understanding of genetic inheritance to learn why. Over 200 years ago, Gregor Mendel was among the first scientists to get a hunch about how genetic “information” is passed down from one generation to the next. After breeding different types of pea plants to one another (short vs. tall, yellow vs. green) in his monastery’s vast 4.8 acre garden, the Austrian monk noticed that physical characteristics of these plants could be passed down, or inherited, in mathematically predictable patterns [5, 10]. Several decades later, British scientist Charles Darwin also noticed patterns of inheritance, when he famously published his seminal book On the Origins of Species. 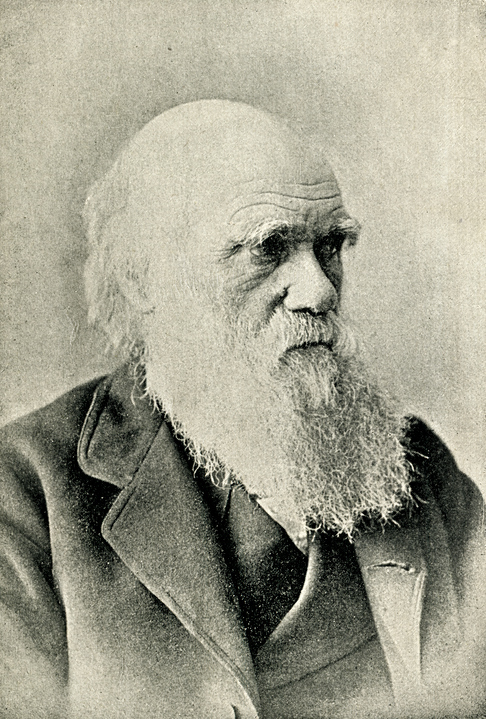 In this book, Darwin first described the theory of evolution and suggested the importance of “fit” individuals passing down their traits to their offspring. Amazingly, Darwin never stumbled across Mendel’s writings about patterns of inheritance during his lifetime, but he instead arrived at his ideas by observing how traits of farm animals and pigeons could be influenced through patterns of guided breeding . Neither Darwin nor Mendel had any idea of what biochemical mechanisms or molecules might cause these patterns of inheritance from one generation to the next. In fact, Darwin incorrectly tried to popularize the theory of “pangenesis,” whereby non-existent cells called “gemmules” circulate through the blood and congregate in the reproductive organs, facilitating the inheritance of traits between generations . It wasn’t until the early twentieth century that scientists could link the inheritance of “genes” (e.g. those responsible for the different traits observed in Mendel’s pea plant experiments) to a molecule known as deoxyribonucleic acid, or DNA. In 1952, scientist Alfred Hershey and Martha Chase were able to demonstrate that it was DNA and not other compounds in living organisms that were responsible for patterns of genetic inheritance through a series of clever experiments and radioactive labeling in bacteriophages . In 1953 with the structure of DNA solved by James Watson, Rosalind Franklin, Francis Crick, and Maurice Wilkins, scientists finally had a clear target of which biochemical molecule to study to better understand the mysteries of genetics [9, 13]. So Really, What Is a Gene? Today, we know much more about the molecule that is responsible for genetic inheritance and how units of DNA called “genes” are responsible for making individuals and species of organisms unique. All humans have ~20,000-30,000 genes in nearly all cells in their bodies, and these genes provide instructions for biological processes and physical characteristics. Subtle variations in genes can result in functional (ex: the ability to process caffeine) and physical (ex: hair texture) differences between individuals . All living organisms have their own set of genes. Modern day sequencing technologies, used to “read” DNA and genes, tell us that the number of genes can vary between 100’s to 10,000’s of genes across different types of organisms . Simply speaking, genes are stretches of DNA that provide the instructions for making important gene products, like proteins and ribonucleic acid (RNA) inside your body. Proteins are an important gene product because they can provide the structure and function for your cells and tissues. More recently, scientists noticed that RNA, the intermediate molecule between DNA and proteins, also has many important biological functions, aside from aiding in the production of individual proteins . For example, some RNAs can act as enzymes (called ribozymes) to catalyze chemical reactions. RNAs are important in regulating other gene products, and sometimes can regulate the production of more than one gene product at a time. 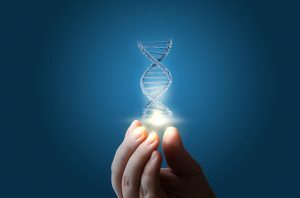 To make things even more complex, scientists have noticed that stretches of DNA thought to be “genes” can have more than one set of activators, called promoters or enhancers, so it’s difficult to define where a gene begins and ends. The “gene” for one gene product can overlap with the “gene” for another gene product. Some gene products need multiple DNA sequences to make the final product – these sections are not always continuous and can be separated by large gaps of “unrelated”DNA . 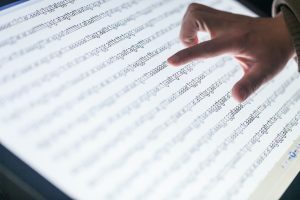 With the ever-expanding complexities of the gene structure, it is no surprise that scientists have trouble agreeing on a single simplified definition of what is a gene . All scientists seem to agree that genes are sections of DNA that encode information that is important for heredity. Improved methods of sequencing DNA, along with cutting edge methods to study the structures and functions of RNA and proteins, can lead to more questions than answers. Yet, some may argue that this is the exact purpose of inquiry-driven science. Indeed, we have come a very long way from Mendel and his pea plants & Darwin and his gemmules. Having a working concept of genes and their role in heredity has allowed us to discover stretches of DNA that are responsible for countless traits and disease in humans with much left to be discovered! Do you have a favorite definition of a gene? Write to us and explain why at educators@23andme.com. 2. Darwin, C., & Costa, J. T. (2011). The annotated Origin: A facsimile of the first edition of “On the origin of species”. Cambridge, MA: Belknap Press of Harvard University Press. 3. Futuyma, D. J. Evolution (Vol. 3rd edition). Sinauer Associates. 7. Griffiths, A. J. (2015). Introduction to genetic analysis. New York, NY: Freeman. 8. Hartl, D. L. (2000). A primer of population genetics. Sunderland, MA: Sinauer Associates. 9. Maddox, B. (2003). Rosalind Franklin: The dark lady of DNA. New York: Perennial. 11. Reece, J. B., Urry, L. A., Cain, M. L., Wasserman, S. A., Minorsky, P. V., Jackson, R., . . . Walde, S. J. (2018). Campbell biology. Don Mills, Ontario: Pearson Canada. 14. Zimmer, C., Emlen, D. J., & Perkins, A. E. (2016). Evolution: Making sense of life. Greenwood Village, CO: Roberts and Company.